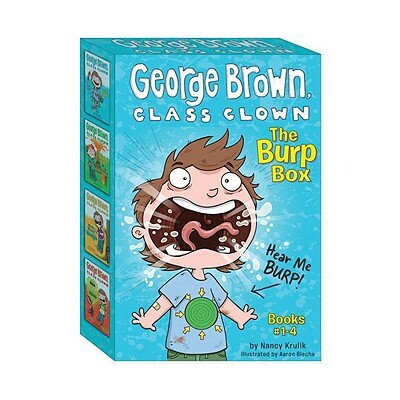 Here is a truly unique boxed set that includes the first four books in Nancy Krulik's popular new series - George Brown, Class Clown. What sets it apart? Press the button on the front of the box and hear one of George's mega-burps! This is a great gift for kids who are new to the series or for kids whose original copies are beaten up from multiple readings. The titles are: #1 Super Burp, #2 Trouble Magnet, #3 World's Worst Wedgie, and #4 What's Black and White and Stinks All Over?